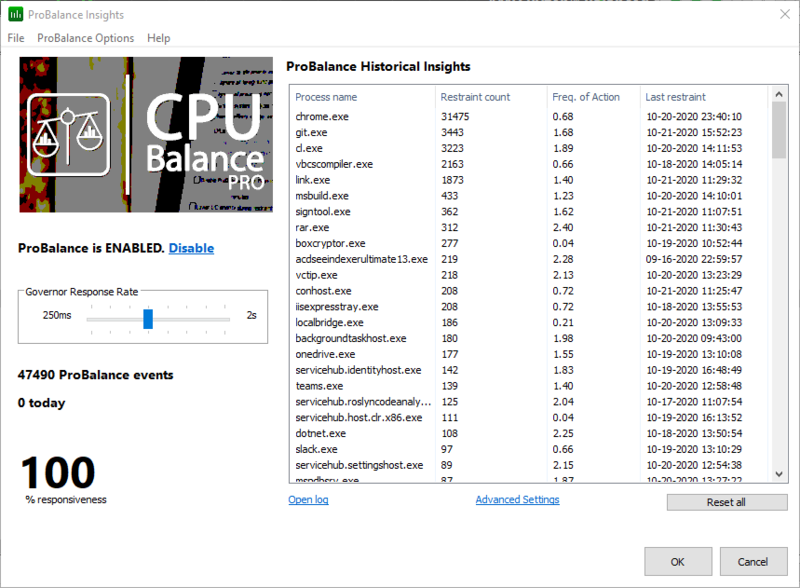 This build of CPUBalance fixes a couple flaws in the last build’s updater. I had added a safety, just in case I neglected to clear edge-node caches (ahem), but took it a bit overboard, causing a 25 second delay when a user-initiated update check was performed. This should fix that up. In other news, I found some missed compiler optimizations and updated all the languages. What is CPUBalance? It is a ProBalance-only rendition of Process Lasso, basically.